I saved about two weeks worth of Seattle Times newspapers after 9/11 and they're stored in plastic bins up in the attic in Redmond. They're getting yellower every day from the acidity, but I figure some day they'll be worth taking out and reading cover to cover. I'm so glad nothing this terrible has happened again since 9/11/01. 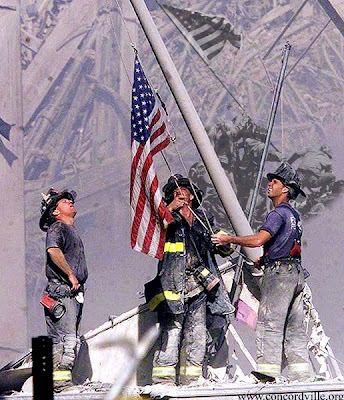 I'm thankful for all the firefighters and people that helped save lives that day, and my heart goes out to all the families and friends of those who were lost. That was a very, very sad day. I've never seen so many adults cry as I did on that day and in the days to follow. 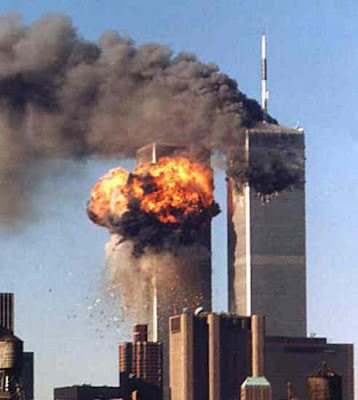 half my teachers wouldn't let us watch the news or even talk about it that day...so lame. i loved the classes where we COULD talk about what we were seeing and feeling. silly teachers. thanks for sharing...i like hearing where everyone was that day. I am also so thankful to all the people in the armed forces who have sacrificed so much so something like this hasn't happened again. We were watching the footage of it on the History Channel last night. I can't believe some people have forgetten this day and what it meant. I will never forget.